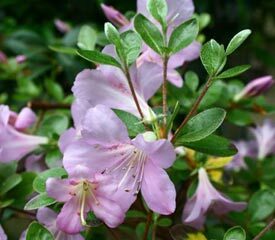 Flower/Truss Description: Funnel-campanulate, white to purplish pink or red. Inflorescence 1-2 flowered. Foliage Description: Leaves obovate to elliptic, up to 1" long, both surfaces hairy. Height: 2 feet in 10 years.